The torrential downpours. The flooding. Kayaking down Alton for an egg wrap. Yup, it’s the rainy season. Putting a damper on Miami’s summer plans since, well, always. But, hey, good news. 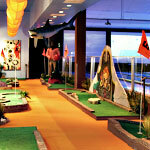 We’ve got five indoor alternatives to your favorite outdoor jaunts. Three words: Make. It. Rain. You require: The rush of being midair. Without a billion volts flying around you. 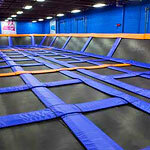 You’ll receive: 16,000 square feet of completely enclosed trampoline surface. That means trampolines on the floor. Trampolines on the walls. Also: foam pits and basketball hoops. Because... Space Jam. You require: Nine holes, a club... and a black-light fairway. You’ll receive: Exactly that. Also, a bucket of bubbly (four mini bottles of Moët). Because you’re going to need to loosen up in order to get around the seals, garden gnomes and peg-legged pirates blocking your hole. Thanks, champagne. You require: A chance to practice your backhand. In the air-conditioning. 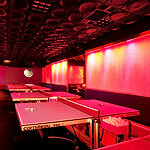 You’ll receive: Seven Olympic-size ping-pong tables surrounded by 12 LED TVs, a bar and stacks of old-school board games. Stuff like Connect Four and checkers. You know, table tennis elbow and all. You require: Some time behind the grill. Practice makes pork chops. You’ll receive: Chef Aaron Brooks’s attention for two hours in the kitchen. He wants to teach you how to make grill-worthy stuff for your next tailgate. 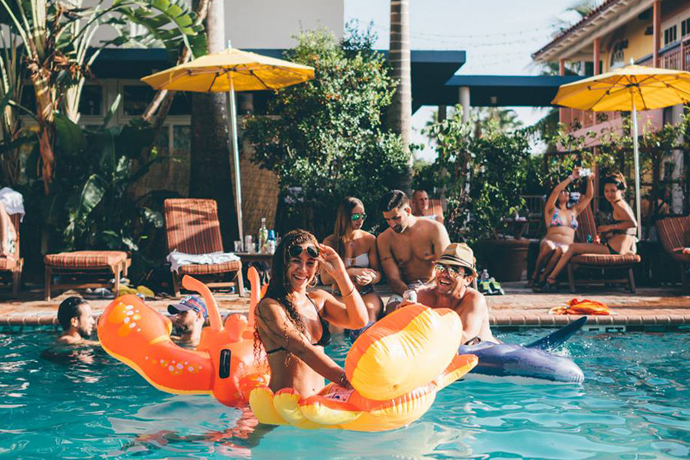 All while plying you with unlimited wine and beer. You might even learn something. Maybe. You require: A stretch of road. And rubber to burn. 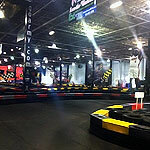 You’ll receive: Up to 30 minutes in a gas-powered kart, lapping a half-mile indoor course at 45 mph. Postrace, there’s cold drafts at the bar. The time to start assembling your pit crew: now.